This project attempts to create a biographical database, which covers the army generals of all participating countries of the Second World War. At the moment the database contains 27344 short biographical sketches of the army generals of World War 2. However, taking into account the scope of the project, the information on each general will vary in detail. 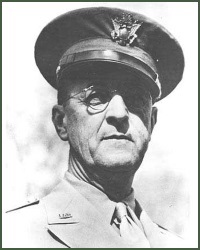 Some generals have only been identified and listed with their last names, while others are listed with full names and sketches of their military careers. I am engaged in the quest for further biographical information on the generals and as a result there will be continual updates. To find information on a specific general use the Search function or just click on The Generals and then choose the country of origin. I hope that you will find this a useful reference tool. Steen Ammentorp, Librarian DB., M.L.I.Sc.